Supplement companies are always trying to make the “perfect” product to get people the best results. Who would have thought that these 2 simple supplements could be the key to reving up your metabolism! The most critical step in peeling away that layer of fat that covers your abs is transporting that fat to the microscopic machinery in cells called mitochondria, where it’ll be burned off. But fat needs carnitine to help it get into the mitochondria. Preworkout is one of the best times to take carnitine, as research shows it can increase fat-burning during exercise by almost 25%. 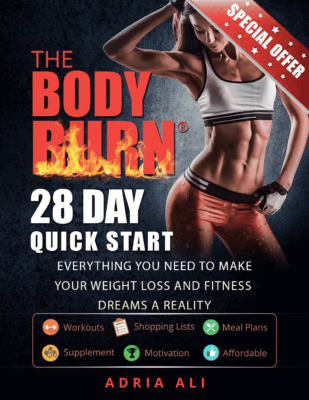 It also helps delay muscle fatigue.While carnitine works to move fat to mitochondria, caffeine works on the fat-loss equation from the other side – prompting more fat to leave the fat cells so carnitine can take it away to be burned. workouts, take 1–3 grams of carnitine (in the form of L-carnitine, acetyl-L-carntine, propionyl-L-carnitine or L-carnitine L-tartrate) with 200–400 mg of caffeine in the form of caffeine anhydrous (dry). Don’t grab a coffee for your preworkout caffeine kick. Look for supplements that provide caffeine anhydrous for best results. 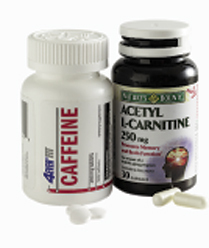 Try combining L-carnitine and caffine to burn more fat and get the best results! Of course, don’t forget to eat a sensible diet and have a consistent workout routine!